Canterbury After Hours Clinic provides after hours home visits by qualified professional doctors, we have a wide range of services. Canterbury After Hours Clinic has flexible payment options including Bulk Billing, Medicare, private health insurance, and cash payments. 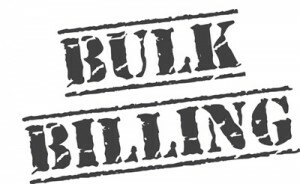 For a price listing of non-bulk billing patients please contact us either by phone or email. Canterbury After Hours Clinic accept work cover, CTP and public liability claims. If you have a claim with anything related to worker compensation and public liability we can help you. For more information regarding your situation contact our professional staff either by email or phone. Canterbury After Hours Clinic provides a diverse range of doctors, most of our doctors can speak a second or third language. Further Canterbury can organize for an online or over the phone interpreter to be available if you require one. We have an access to Canterbury hospital X-ray department and pathology services. Female and male doctors available. Conveniently located near the emergency department of Canterbury hospital, Canterbury After Hours Clinic is designed to help reduce wait times for patients that require medical attention. We only accept bookings starting from 6PM on weekdays and from 12PM on Saturday & Sunday. Last booking is for 11:30 PM to allow the doctor to finish by 12:00 AM.